When Jake follows his grandfather Taw to the Hopi reservation where Taw was born, he finds trouble. The Hopi are upset about a Mexican wolf. Since there are no wolves in Arizona, some believe it's a ghost. Others want to kill it because it's hunting their livestock. 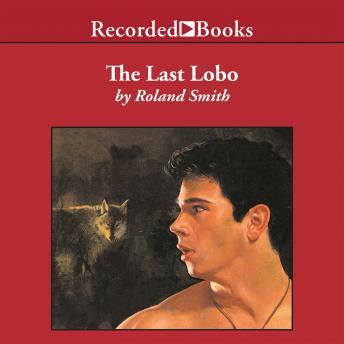 Jake is sure of one thing: he must help his grandfather save the lobo. It could be the last of its kind. Ruthless hunters would do anything to collect the reward, including killing anyone who gets in their way. But Jake is willing to do whatever it takes to save this endangered creature from its most lethal enemy. Award-winning author and research biologist Roland Smith brings his 20 years of wildlife study to this action-packed adventure. Backed by Johnny Heller's narrative skill, Jake, who appeared in Jaguar and Thunder Cave, makes a powerful environmental statement.